It’s Criminal highlights the economic and social inequities that divide the United States and offers a vision of how separated communities can learn to speak to each other. 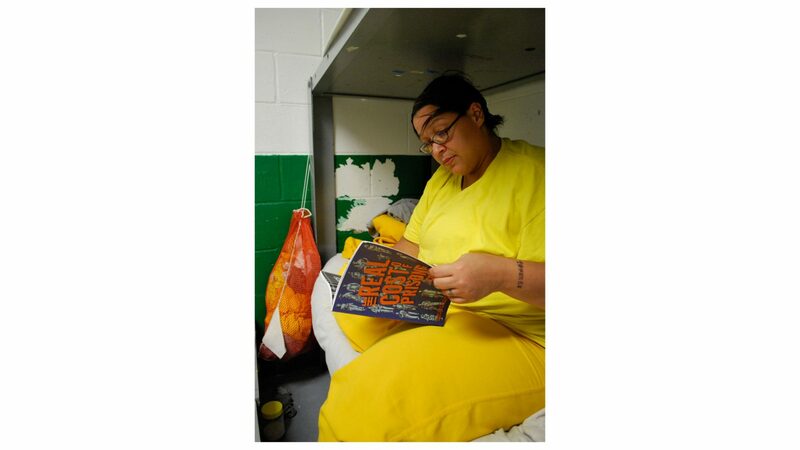 Poignant and personal, the feature documentary shares the life-changing journeys of incarcerated women and Dartmouth College students working together to write and perform an original play that explores the often painful and troubled paths that landed the women behind bars and also shares some of their fragile visions for the future. It’s a transformational movie that delves into privilege, poverty and injustice and asks viewers to think about who is in prison and why. In addition to exploring disparities, also captures how the students and prisoners struggle and ultimately succeed in overcoming their fears and prejudices to form hard won bonds of friendship, showing that empathy is a powerful force that can help bridge the divide. Director Signe Taylor is an award-winning filmmaker. She produced and directed Circus Dreams, a feature documentary about the only traveling youth circus in the United States. Circus Dreams premiered at Sprockets, the Family Zone of the Toronto International Film Festival, in 2011. Circus Dreams went on to receive Best Film 4 Families Feature at Seattle International Film Festival, Indie Spec Award at Boston International Film Festival, Audience Choice at Woods Hole Film Festival, and a Parents’ Choice Gold Award, among other honors. It was nationally broadcast on public television in 2012. Prior to that, Taylor directed Greetings From Iraq, a half-hour documentary about the effects of Operation Desert Storm and the international embargo on Iraqi families. This was also well-received on the festival circuit before airing on PBS. In addition, she has shot for C-Span, produced for PBS and received her MA in Film from Stanford University and BA from Barnard College at Columbia University.